A very fine, large seascape marine attributed to circle of Reuben Chappell. 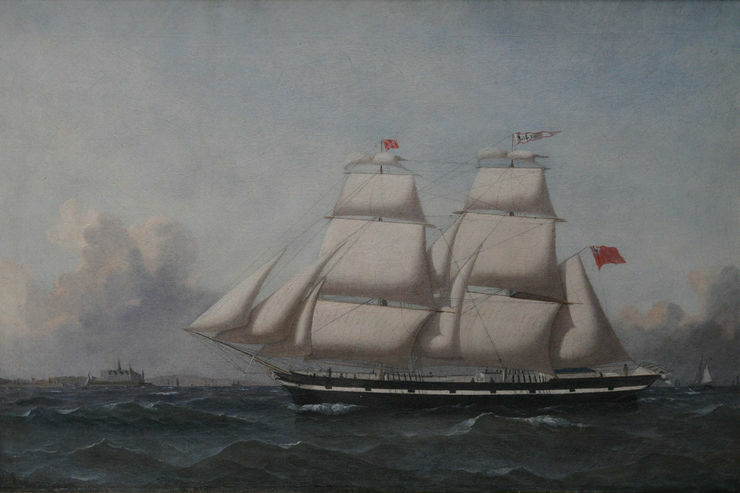 Painted circa 1900 it depicts a sailship in full rig passing a port and about to go into open sea. A stunning painting in a fine frame. Excellent condition 19th century gilt frame, 40 inches by 30 inches. Reuben Chappell (1870-1940) is one of the country’s best known ship portrait artists. He originates from Goole, Yorkshire where he painted British and foreign vessels that came up the Humber to this inland port. In 1904 he moved to Par, Cornwall where he continued to paint the many vessels that visited the china clay ports. 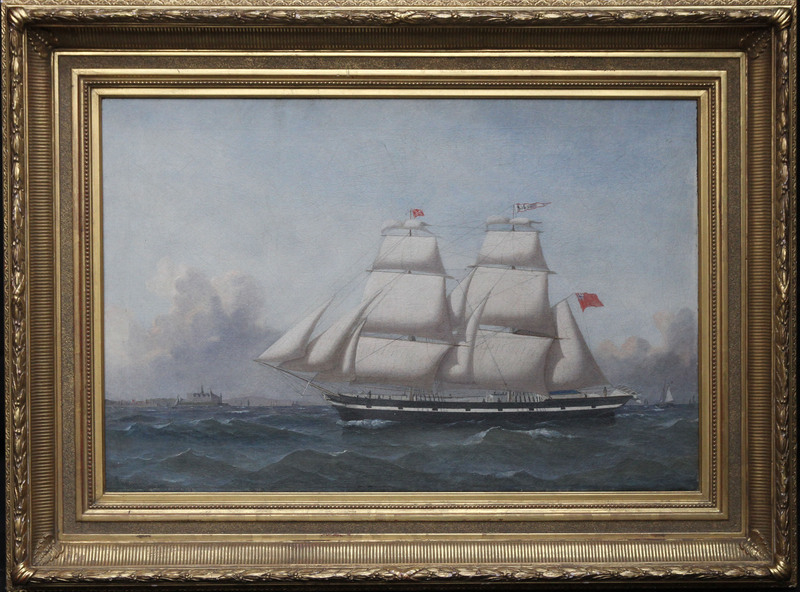 Reuben Chappell was a highly industrious and talented ship portrait painter. Chappell worked in the tradition known as Pierhead Painting which is now highly collectable.